for putting the icing on your 2018 fundraising video cake! When you book, you receive a Half Day Package ($1950 Value!) for FREE. Now what could you do with that you ask? Have an event coming up that you want to capture? We can create a sizzle reel. Want to showoff your team or a testimonial? Need more social content? Let’s stock you up with FrostBytes like these. 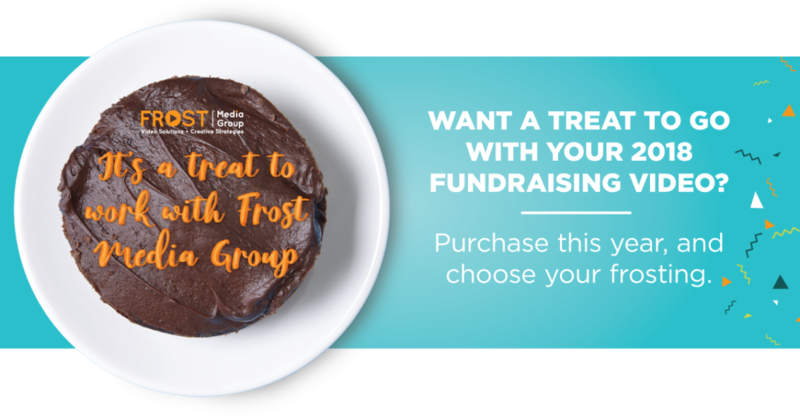 Check out our Pick Your Frosting deal here and get your 2018 fundraising video cooking.